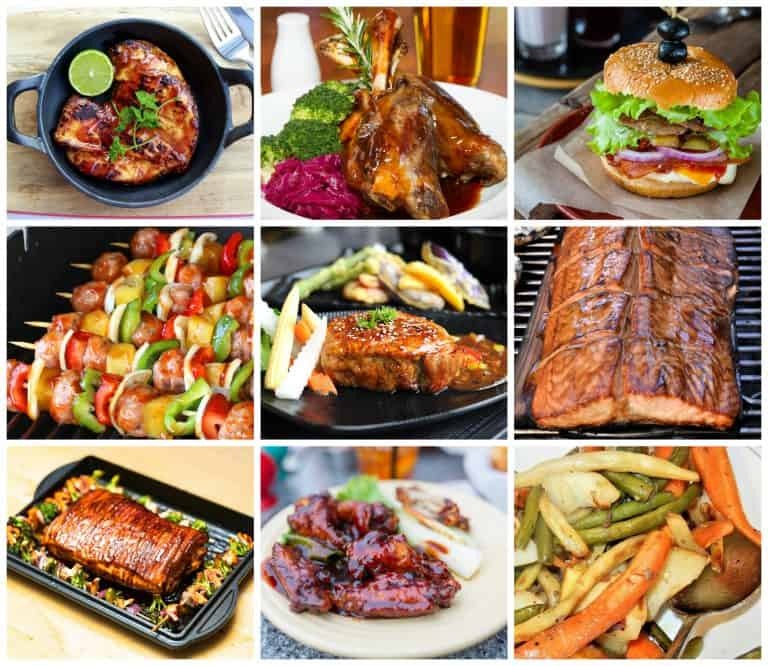 Look no further for a flavor-packed and versatile brown sugar glaze that’s perfect for your ham, chicken, salmon, pork chops, burgers, kabobs, roasted veggies and more! 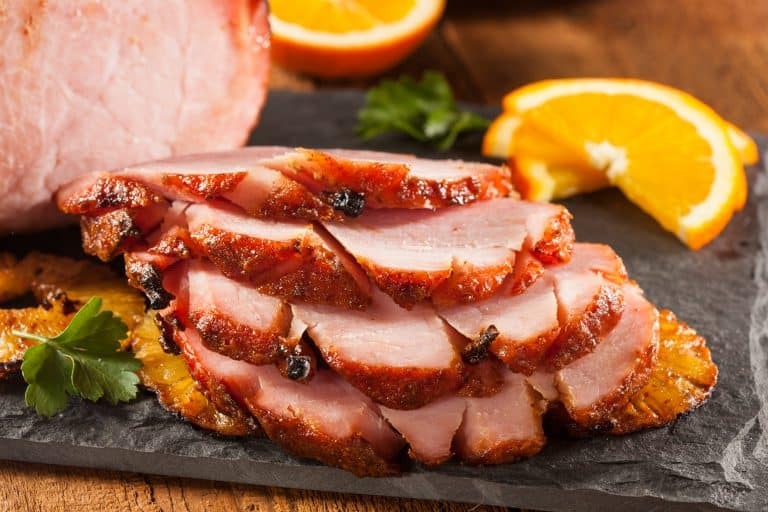 Look no further for an absolutely finger-licking glaze for your ham! Forget the glaze packet that comes with your ham, this brown sugar glaze is super quick and easy to make and tastes much better than the store-bought stuff. It’s ready in about 10 minutes and keeps for at least a couple of weeks in the fridge. 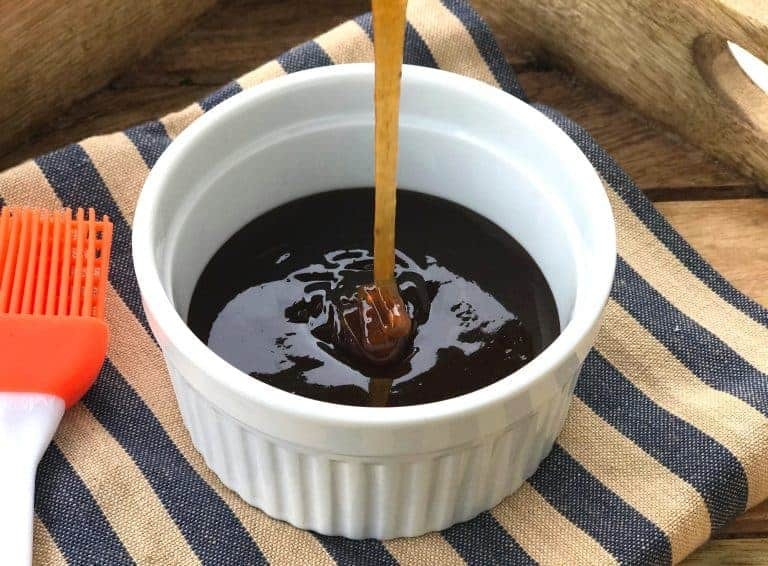 With multiple layers of deliciously balanced flavors, this homemade brown sugar glaze incorporates a variety of spices along with honey, pineapple juice and mustard. For a different flavor dimension you can also swap out the honey for maple syrup. And if you prefer you can also substitute orange juice for the pineapple juice. Either way, your ham is going to be a hit! But this glaze isn’t for ham alone, it’s adds a “yumminess factor” to multiple foods! 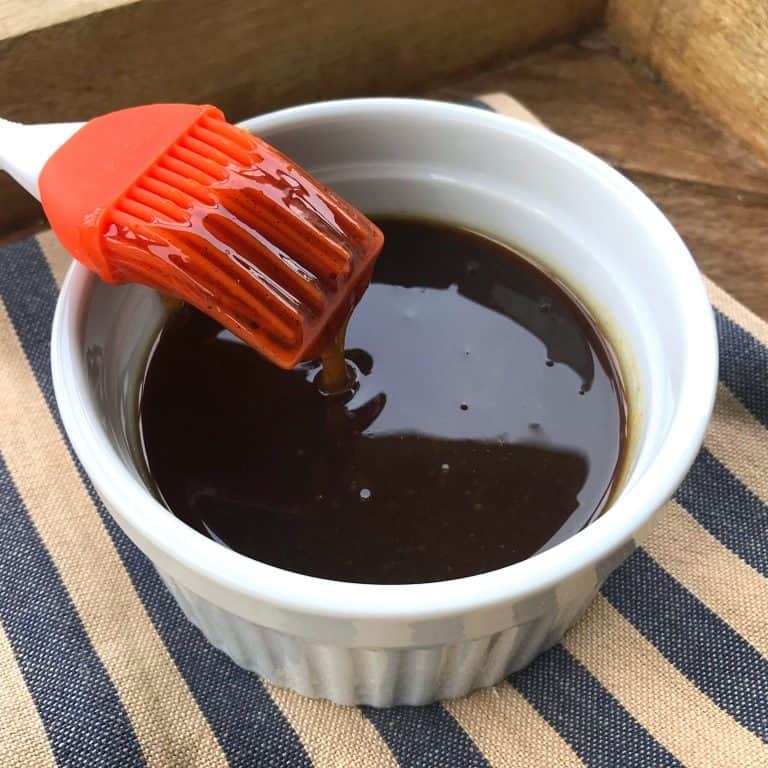 In addition to your ham, use this brown sugar glaze on your chicken, meatloaf, burgers, kabobs, pork chops, salmon, carrots, roasted veggies (Brussels sprouts, parsnips, carrots, cauliflower, etc) and anything else that tickles your fancy! I just used this glaze on some mouthwatering pork chops earlier this week and our family is looking forward to enjoying it on our upcoming Easter ham! However you choose to use this glaze you are all SET for a feast! 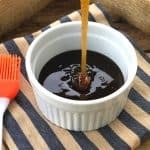 Bursting with flavor and finger-licking delicious, you’ll love this versatile pineapple brown sugar honey mustard glaze! Bring it to a simmer and simmer over medium heat for 7-10 minutes, stirring frequently, until the mixture is slightly syrupy (it will thicken as it cools). For the best flavor, refrigerate overnight to allow the flavors to fully develop. This brown sugar glaze will keep in the fridge for about 2 weeks. 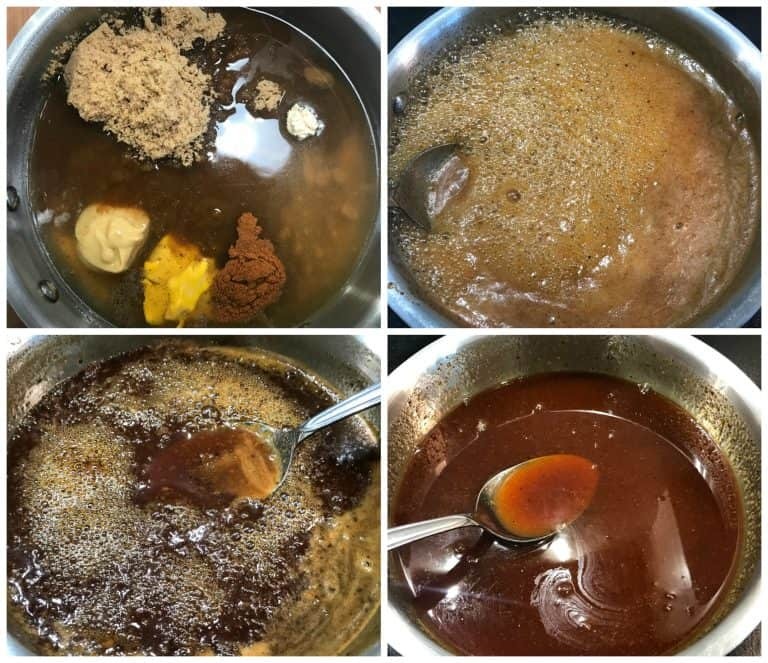 Look no further for a flavor-packed and versatile brown sugar glaze that's perfect for your ham, chicken, salmon, pork chops, meatloaf, kabobs, burgers, roasted veggies and more! Place all of the ingredients in a medium sauce pan. Simmer for 7-10 minutes, stirring frequently, until the mixture is slightly syrupy (it will thicken as it cools). This is crazy good! I’ll be putting it on everything! This Ham will make my Easter, this will be a hit all round!! Endless possibilities with this glaze! Fabulous on ham and carrots. This ham looks incredible!! Perfect for Easter! What a sweet glaze for our Easter ham, or even for the grill this summer! Excited to try this out! Love how versatile this is! Great way to add a punch of flavor to almost anything and everything. Oh I can’t wait to try your brown sugar glaze. Sounds so easy and delish!! 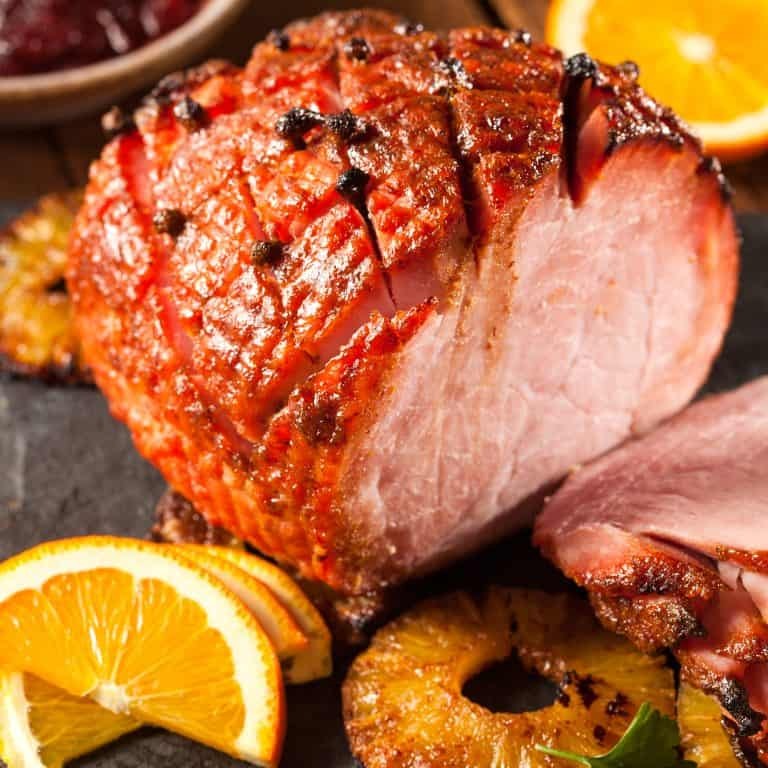 I bet this tastes great on many dishes but I love a great glazed ham for Easter; I’ll have to give this a try! I love a brown sugar glaze on ham, it really makes it so much better! This glaze is so easy to make! I love its flavor! Oooh I bet this is AMAZING on ham!